At the 35th Tokyo Motor Show in 2001, Nissan unveiled the GT-R Concept, confirming that the GT-R legend would be continued into the 21st century. 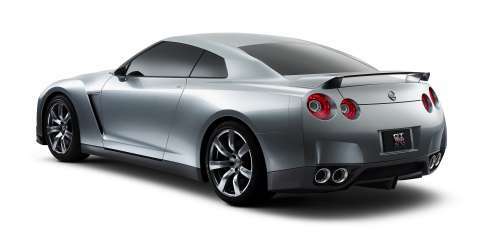 Then, at the 37th Tokyo Motor Show in 2003, Nissan announced the next-generation GT-R would be rolled out in 2007. Now with the launch of the production model just two years away, the development of the new GT-R has moved ahead again with the revealing of the GT-R PROTO. In essence, driving pleasure means that a car responds faithfully to the driver's wishes and performs precisely as expected. Successive generations of the GT-R have consistently pursued this vision of ultimate driving pleasure. Whether on the road or the racetrack, the GT-R has always represented ultimate performance combined with handling qualities that stay faithful to the driver’s wishes, in all conditions. As a result, the GT-R has built a reputation that extends far beyond just its loyal owner base. From its original roots as a pure-bred Japanese performance car, the new GT-R will now be a car sold globally, recognising its ability to compete with the very best in the world. 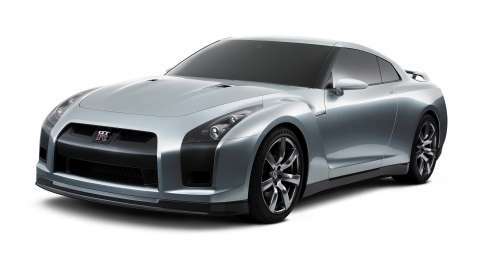 For the first time in its history, the new GT-R will be designed as a specific body style, and not derived from a sedan. At the front end, the single centre air intake is designed to optimise airflow and to strongly link the identity of the GT-R from R34 to GT-R Concept (2001). Front guards are uniquely designed through intensive analysis of the airflow around the tyres, and the air vent behind the front guards also optimises aerodynamics. The sides of the body are sculptured towards the rear guards, expressing the power and dynamic tension of the car.